Everyone can benefit from estate planning and every so often, there is a celebrity controversy or story that shows the challenges of financial predators and elder abuse. The 95-year-old creator of Marvel Comics, Stan Lee, has a fortune apparently under attack from financial predators. 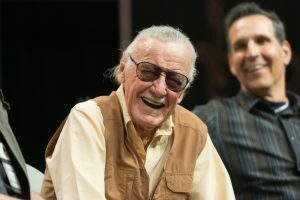 The creator of X-Men, Black Panther, Spiderman and the Fantastic Four has an estate that is valued at more than $50 million. However, his current memory, vision, and hearing impairments are being used to claim that he is unable to resist undue influence from caregivers, family members and business associates. Experts believe that increasing numbers of people who are closely connected to Lee will try manipulating him to get control of his assets. Financial advisors and estate planning professionals have shared that this type of circumstance might become more prominent in coming years as people benefit from increased longevity and living into their nineties or hundreds, but might not have the mental faculties in order to manage their affairs effectively during this time period. Estate planning accomplishes the overall picture about distributing someone’s wealth after their death, but all too often, skips out on later life planning and other issues connected with aging. Consolidation of financial accounts can help to ensure that the simpler balance sheet is easier to oversee, and appointing someone else to take over financial affairs, as well as using revocable trusts, are powerful tools for accomplishing the clients’ goals without putting them at risk of elder abuse. Schedule a consultation today with an experienced estate planning attorney to learn more about what you can do to protect your best interests.